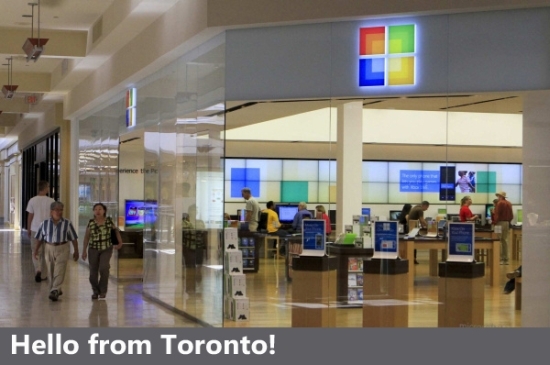 With the recent 2012 Worldwide Partner Conference taking place in Toronto, there was no better moment for Microsoft to announce that the first international store will soon open in Toronto. The specific store location in Toronto, Canada will be at the Yorkdale Shopping Centre. The store is set to open later this year, in time for Microsoft to release Windows Phone 8, Office 15, and the Microsoft Surface. We can’t help but feel uneasy about such a step by Microsoft. Microsoft doesn’t even have at least one Microsoft store in each state of the United States. That’s something Microsoft needs to address. I follow the Microsoft Store Twitter handle, and more, only to hopefully wake up one day and see that a Microsoft Store will open in Miami, Florida. I am sure I am not the only Windows Phone, or other Microsoft product, user in the US anxiously waiting for a local Microsoft Store. If anything, Microsoft needs to open the Toronto store, and get right back to making the Microsoft Store available all over the United States. Is there a Microsoft Store available near you yet? Sound off in the comments below! when will they come to germany or even to europe? Look at this way; Toronto is the fifth largest city in North America including Mexico, so it makes sense if they are trying to be accessible to as many people as possible. We need one in montreal now!